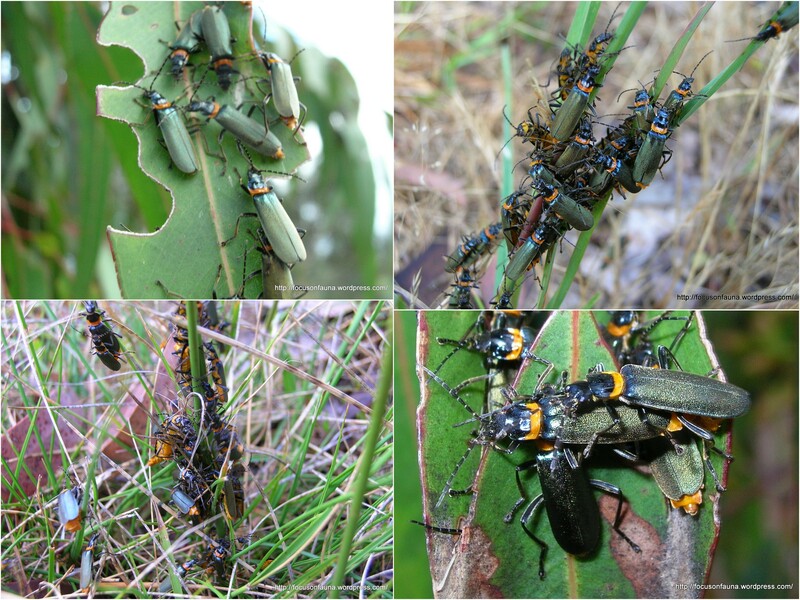 You may have noticed swarms of beetles flying around and aggregating on plants recently. 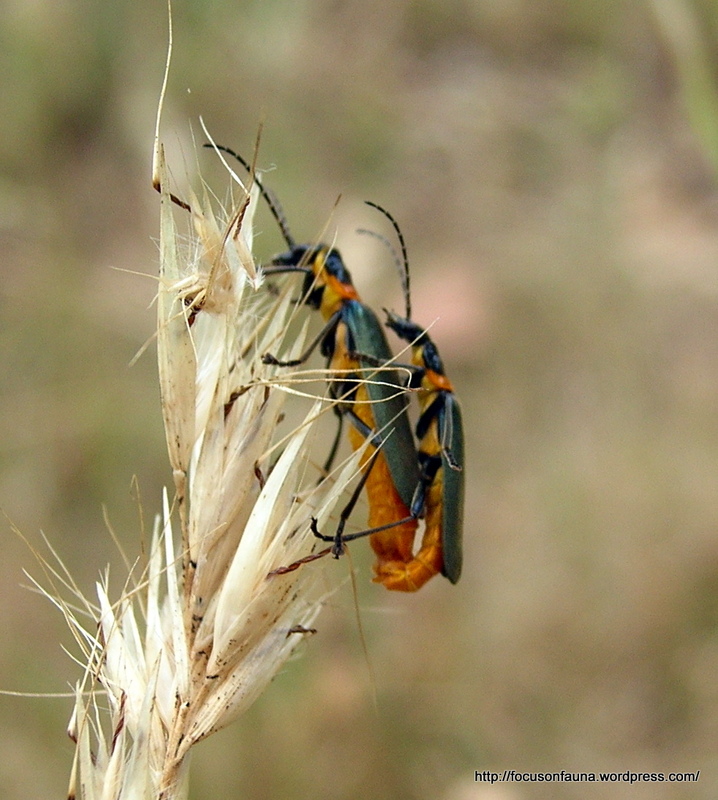 These are the Plague Soldier Beetles (Chauliognathus lugubris). They can be found in forests, heaths and woodlands as well as gardens. The larvae live in the soil and feed on soft-bodied invertebrates.